Citing fan demand, Buffalo Wild Wings brings back Jammin' Jalapeno wing sauce for a limited time. The flavor was discontinued three years ago and features a sweet and spicy combination of jalapeno sauce with hints of tequila and lime. 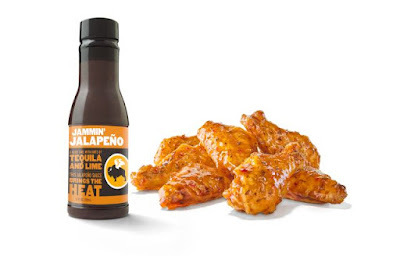 You can order the sauce with wings or buy it in a bottle through February 17, 2019.